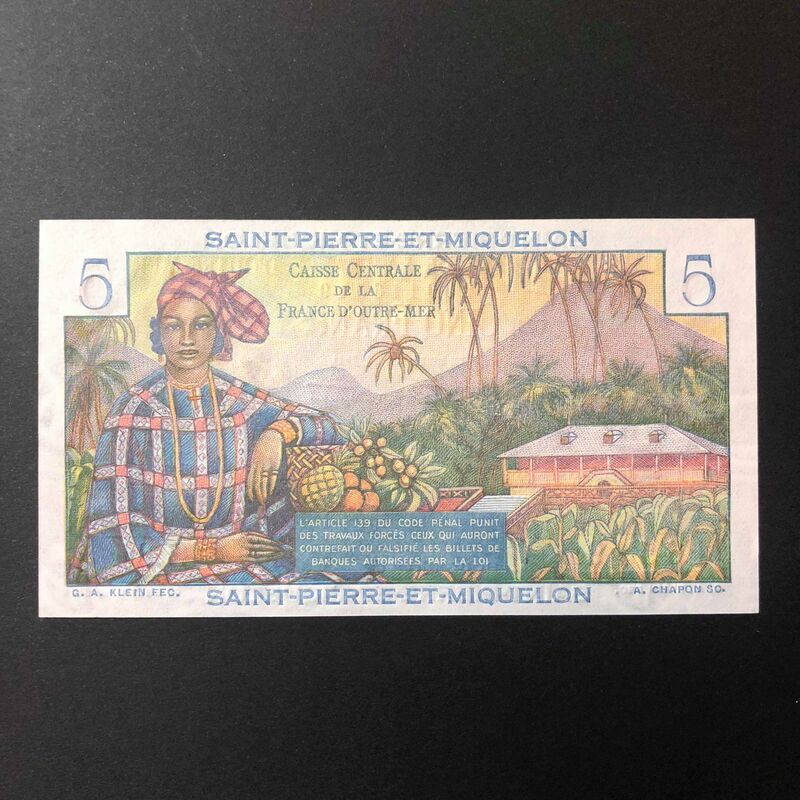 Bright and colourful, this 5 Franc note from Saint Pierre et Miquelon (1950) is in unciruclated condition. 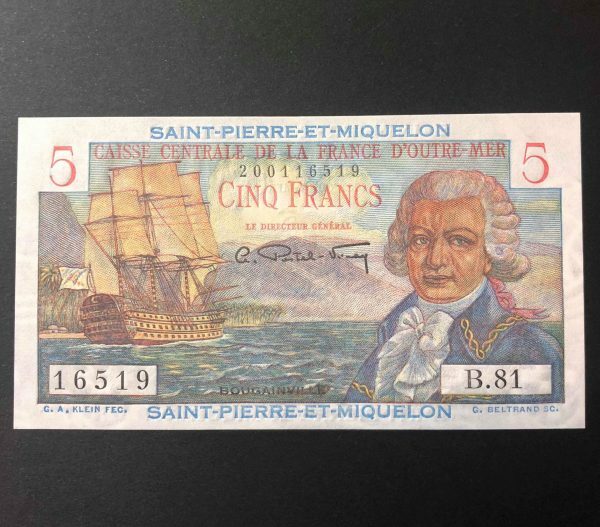 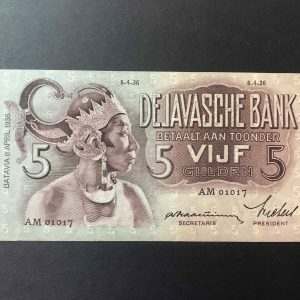 A beautiful small banknote in stunning condition, this 1950 Saint Pierre and Miquelon 5 Francs note was issued by Caisse Centrale de la France d’Outre-Mer in the small Island territories off the eastern Canadian coast. 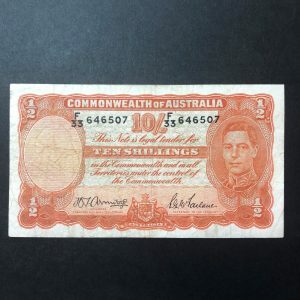 Note is bright and colourful in its design. 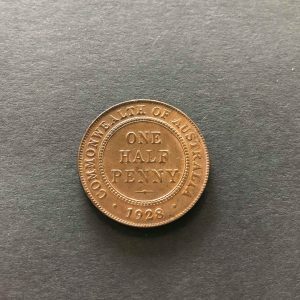 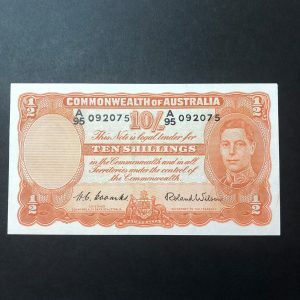 Uncirculated condition.